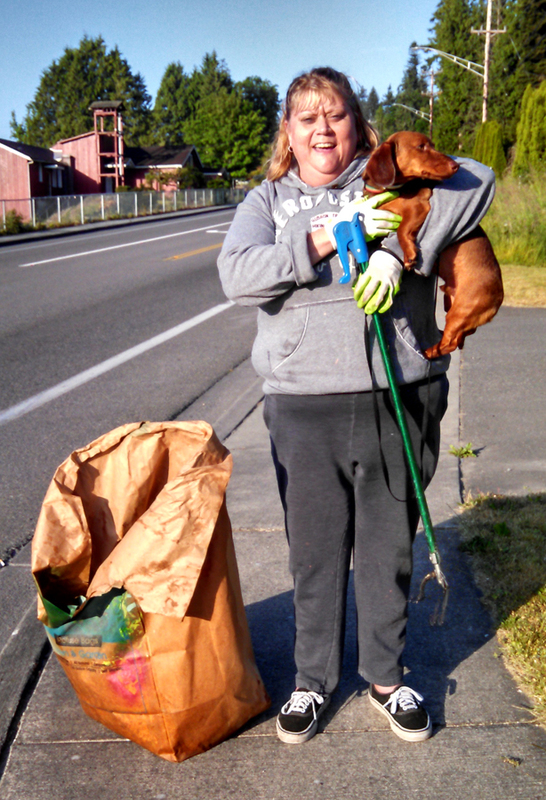 Jennifer Green and sidekick Jasper are helping to keep the Tulalip community clean. TULALIP, Wa. – Meet Tulalip resident Jennifer Green and her buddy Jasper. I met up with Jennifer, and her large bag of trash, this morning on the Tulalip Reservation near the Red Church. Jennifer is not only getting fit, but is helping to keep the reservation beautiful by walking twice a week, picking up litter. Thanks Jennifer for making a difference in our community! This entry was posted in Local News and tagged environment, Jennifer Green, Tulalip by Kim Kalliber. Bookmark the permalink.